DENVER–(BUSINESS WIRE)– Royal Gold, Inc. (NASDAQ: RGLD) (“Royal Gold” or the “Company”) announces that wholly-owned subsidiaries of the Company and Altius Minerals Corporation (“Altius”) entered into an agreement with Vale Canada Limited and certain of its subsidiaries (collectively, the “Parties”) to comprehensively settle their long-standing litigation related to calculation of the royalty on the sale of all concentrates produced from the Voisey’s Bay mine in Newfoundland and Labrador, Canada. 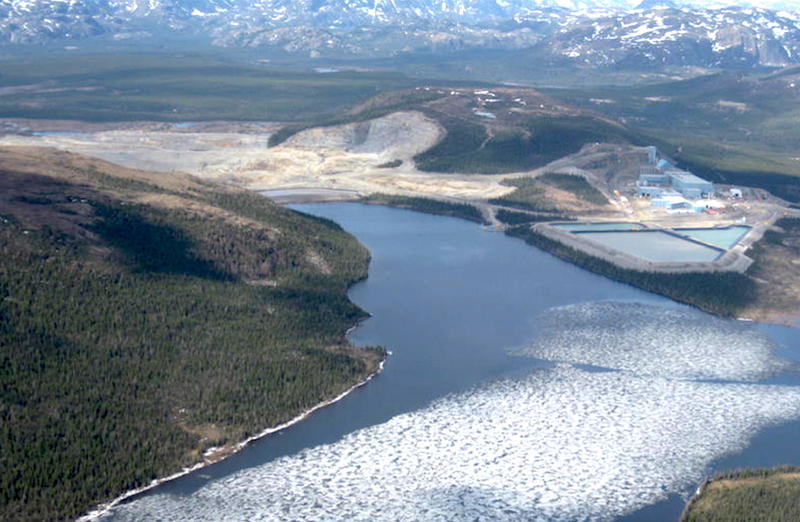 The Voisey’s Bay 3% net smelter return royalty is directly owned by the Labrador Nickel Royalty Limited Partnership (“LNRLP”), in which the Company’s wholly-owned indirect subsidiary is the general partner and 90% owner. The remaining 10% interest in LNRLP is owned by a subsidiary of Altius. The Parties agreed to a new method for calculating the royalty in respect of concentrates processed at Vale’s Long Harbour Processing Plant (LHPP), which will be effective for all Voisey’s Bay mine production after April 1, 2018. The specific terms of the settlement are confidential, but Royal Gold expects the 3% royalty rate will apply to approximately 50% of the gross metal value in the concentrates at existing nickel, copper and cobalt prices. As those metal prices rise or fall, the percentage of gross metal value in the concentrates applicable to the royalty would correspondingly increase or decrease. The next LNRLP payment of approximately $2.2 million, relating to second calendar quarter production, is expected to be received in October. The third calendar quarter royalty payment, and the royalty payment for each quarter thereafter, is due 45 days after quarter end. LHPP is designed to produce 50,000 tonnes of finished nickel annually. The plant is currently ramping up and is producing at an annualized rate of approximately 35,600 tonnes based on actual production of 8,900 tonnes in the second calendar quarter of 2018. In the next few years, Voisey’s Bay concentrate will provide 100% of the feed to LHPP but, over time, other sources of concentrate will be added to LHPP. On June 11, 2018, Vale announced it will recommence the $1.7 billion development of an underground mine and associated facilities, which is expected to extend the Voisey’s Bay mine life until 2034. Vale expects the underground mine to begin production in 2021 and to ramp up over four years, while the current open pit mining in the Ovoid deposit is expected to continue until 2022. Vale estimates Voisey's Bay mineral reserves at 32.4 million tonnes with a nickel grade of 2.13%, a copper grade of 0.96%, and a cobalt grade of 0.13% as of December 31, 2017. Cautionary “Safe Harbor” Statement Under the Private Securities Litigation Reform Act of 1995: With the exception of historical matters, the matters discussed in this press release are forward-looking statements that involve risks and uncertainties that could cause actual results to differ materially from projections or estimates contained herein. Such forward-looking statements include statements about expectations that the Company’s 3% royalty on production from Vale’s Voisey’s Bay mine will apply to approximately 50% of the gross metal value in the concentrates at existing nickel, copper and cobalt prices, the increase or decrease in the percentage of gross metal value in the concentrates applicable to the royalty as metal prices rise or fall, the expectation that resolution of the dispute resolves all claims by agreeing on a prospective calculation and secures the Company’s participation in the underground mine life extension, the Company’s expectation for a steady quarterly flow of revenue from the Voisey’s Bay mine, the design capacity of, expected future production from, and feed sources to Vale’s Long Harbour Processing Plant, the timing for recommencement of development and commencement of production from an underground mine and associated facilities at Voisey’s Bay, the expectation that the underground mine will extend the Voisey’s Bay mine life until 2034, production from the Ovoid deposit, and estimates of Voisey’s Bay reserves. Factors that could cause actual results to differ materially from these forward-looking statements include, among others: the risks inherent in the operation of mining properties; a decreased price environment for gold and other metals on which our stream and royalty interests are paid; performance of and production at the Company’s stream and royalty properties; the ability of operators to finance project construction to completion and bring projects into production as expected, including development stage mining properties, mine and mill expansion projects and other developments; variation of actual performance from the production estimates and forecasts made by the operators of those properties and projects; unexpected operating costs, decisions and activities of the operators of the Company’s stream and royalty properties; changes in operators’ mining and processing techniques or stream delivery or royalty payment calculation methodologies; resolution of regulatory and legal proceedings; unanticipated grade, geological, seismic, metallurgical, environmental, processing or other problems the operators may encounter at the properties; operators’ inability to access sufficient raw materials, water, power or other resources or infrastructure; revisions or inaccuracies in technical reports, reserve, resources and production estimates; changes in operators’ project parameters as plans of the operators are refined; changes in estimates of reserves and mineralization by the operators of the Company’s stream and royalty properties; contests to the Company’s stream and royalty interests and title and other defects in the properties where the Company holds stream and royalty interests; the results of current or planned exploration activities; errors or disputes in calculating stream deliveries or royalty payments, or deliveries or payments not made in accordance with stream or royalty agreements; decisions and activities of the Company’s management affecting margins, use of capital and strategy; the liquidity and future financial needs of the Company; economic and market conditions; the impact of future acquisitions and stream and royalty financing transactions; the impact of issuances of additional common stock; and risks associated with conducting business in foreign countries, including application of foreign laws to contract and other disputes, environmental laws, enforcement and uncertain political and economic environments. These risks and other factors are discussed in more detail in the Company’s public filings with the Securities and Exchange Commission. Most of these risks are beyond the Company’s ability to control. Statements made herein are as of the date hereof and should not be relied upon as of any subsequent date. The Company’s past performance is not necessarily indicative of its future performance. The Company disclaims any obligation to update any forward-looking statements. Readers are cautioned not to put undue reliance on forward-looking statements. Statement about Mineral Reserves: This press release includes information about reserve estimates provided by a Canadian issuer. These estimates are not based on the U.S. Securities and Exchange Commission’s definitions for proven and probable reserves. For Canadian issuers, definitions of “mineral reserve,” “proven mineral reserve,” and “probable mineral reserve” conform to the Canadian Institute of Mining, Metallurgy and Petroleum definitions of these terms as of the effective date of estimation as required by National Instrument 43-101 of the Canadian Securities Administrators. Royal Gold does not reconcile the reserve estimates provided by the operators with definitions of reserves used by the U.S. Securities and Exchange Commission. Statement Regarding Third-Party Information: Certain information provided in this press release, including construction schedules, production estimates and mineral reserves, has been provided to the Company by the operators of those properties or is publicly available information filed by these operators with applicable securities regulatory bodies, including the Securities and Exchange Commission. The Company has not verified, and is not in a position to verify, and expressly disclaims any responsibility for the accuracy, completeness or fairness of, such third-party information and refers readers to the public reports filed by the operators for information regarding those properties.